Click here for Acopian BirdSavers. 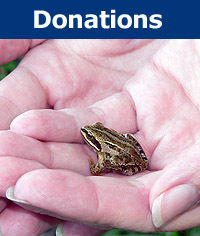 Price: Please select a donation amount above. Help 10 to 14 year-old Armenian school children and their teachers learn about birds living in their backyards. This program teaches the concepts of reuse and recycling, bird identification, and the importance of birds in Armenia. You will receive a letter confirming your tax deductible contribution from the American University of Armenia. Support season-long counts of migrating birds of prey in the Caucases, including Peregrine Falcons, Levant Sparrowhawks, Pallid Harriers, and others, at Lake Sevan and elsewhere in the Caucasus region. You will receive a letter confirming your tax deductible contribution from the American University of Armenia. Support the study and protection of one of Yerevan's rarest avian residents, the Levant Sparrowhawk. You will receive a letter confirming your tax deductible contribution from the American University of Armenia. Support field work, lab work, and photography associated with the production of the Acopian Field Guide to Butterflies of Armenia, the first field guide of its type for the region. You will receive a letter confirming your tax deductible contribution from the American University of Armenia. Support studies of the distribution and abundance of three birds of prey (Long-legged Buzzard, Short-toed Eagle, and Egyptian Vulture) that together serve as ecological sentinels for the natural ecosystems of Armenia. You will receive a letter confirming your tax deductible contribution from the American University of Armenia. Help support a White Stork nest for a year, and protect one of Armenia's good-luck symbols. In 2008, more than 600 pairs of storks nested in Armenia. Your $500 donation supports one nest for one year. You will receive a letter confirming your tax deductible contribution from the American University of Armenia.